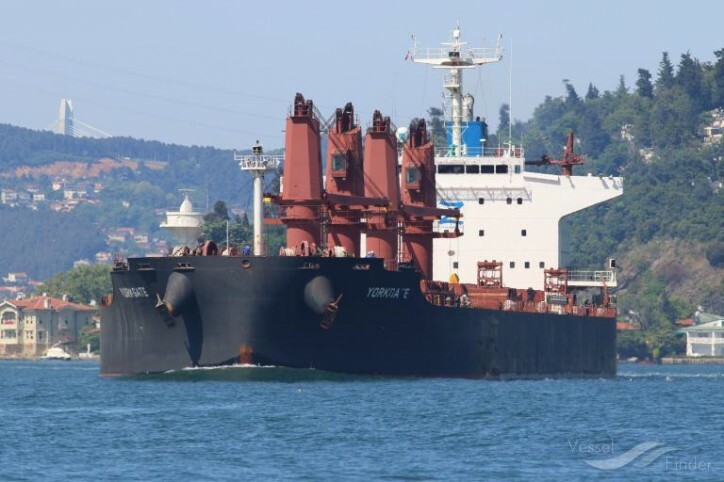 Genco Shipping & Trading Limited (NYSE:GNK) (Genco) Thursday (Jul 26) announced that it has taken delivery of the Genco Weatherly, a 2014-built 61,000 dwt Ultramax vessel. The Genco Weatherly is the first of four vessels to be delivered to Genco as part of its recent agreement to acquire two 2015-built 180,000 dwt Capesize vessels, one 2016-built 60,000 dwt Ultramax vessel and one 2014-built 61,000 dwt Ultramax vessel. In addition, Genco recently entered into another agreement to acquire two 2016-built 180,000 dwt Capesize vessels. All of the vessels are expected to be delivered to Genco in the third quarter of 2018. Genco Shipping & Trading Limited transports iron ore, coal, grain, steel products and other drybulk cargoes along worldwide shipping routes. As of July 26, 2018, Genco Shipping & Trading Limited’s fleet consists of 13 Capesize, six Panamax, five Ultramax, 21 Supramax, one Handymax and 15 Handysize vessels with an aggregate capacity of approximately 4,750,000 dwt.